Let me set the record straight right now. I LOVE to shop. Spending money on clothes is what I was born to do, BUT it's definitely not something I can afford to do. Grabbing trendy pieces every so often is great and often necessary to keep your wardrobe refreshed, but the smart way to make your closet work better for you is to buy some basics. By grabbing a few staple pieces for each season you can easily mix and match your wardrobe into a solid number of different outfits. 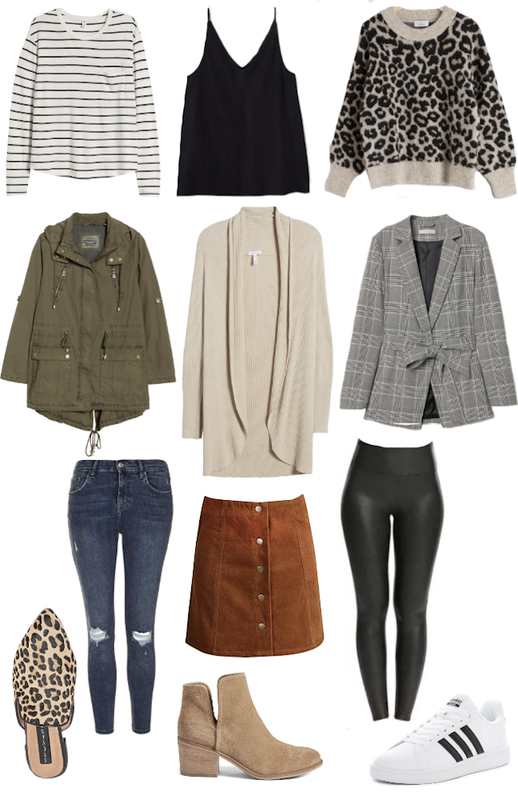 I've picked out my personal fall basics and a lot the different ways I can pair them all together. 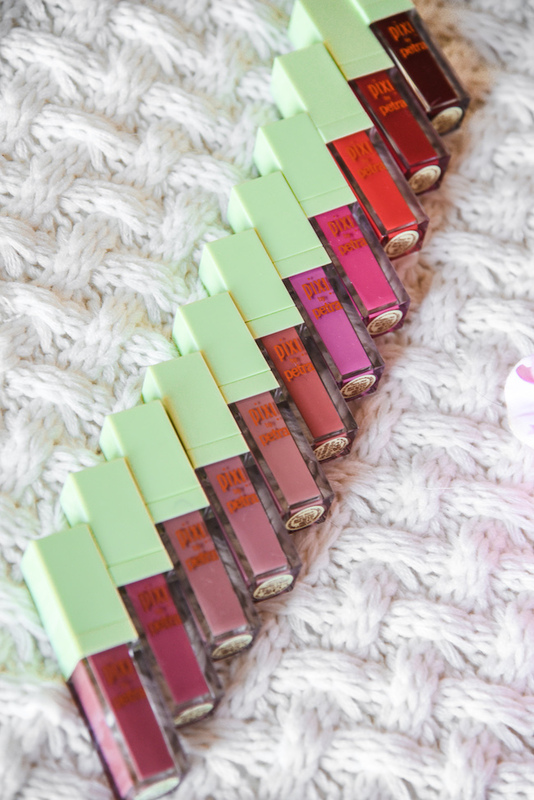 *These products were provided as PR Samples from Pixi By Petra, all opinions are my own. Hello friends, hope your week has been a great one so far! 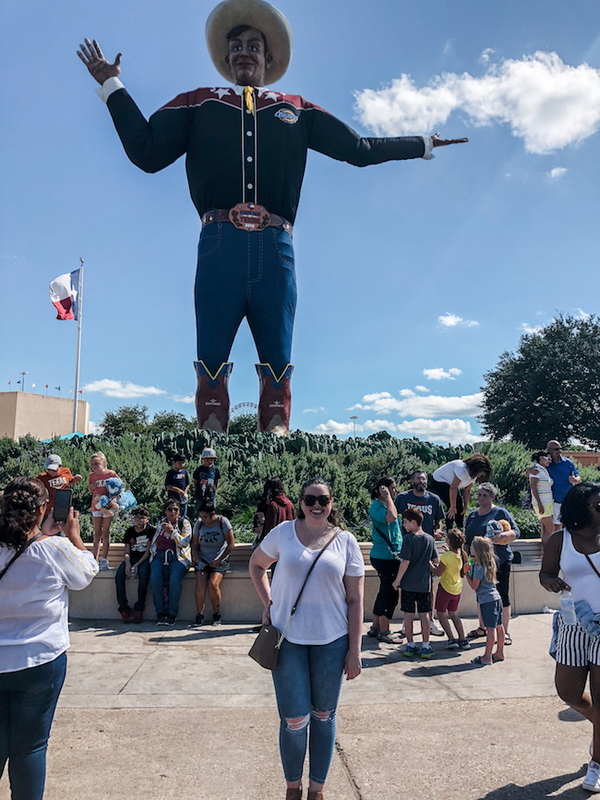 I'm back from my most recent trip to Dallas and I had a blast. I got up to so many things, but also didn't get around to doing everything I wanted to do while there. This won't be an official city guide (more on the reasoning for that below! ), however it will be a little guide to what I did on my visit and where I stayed. 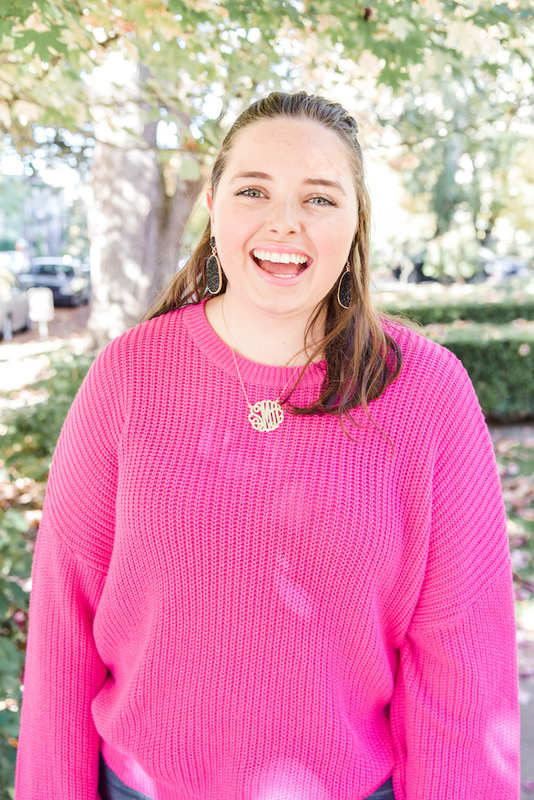 I also have a bit of a life update near the bottom of this post, so make sure to read that too if you want to see what's happening in my life! When looking for a place to stay I wanted to be a little outside of the downtown area while still having a lot in walking distance. 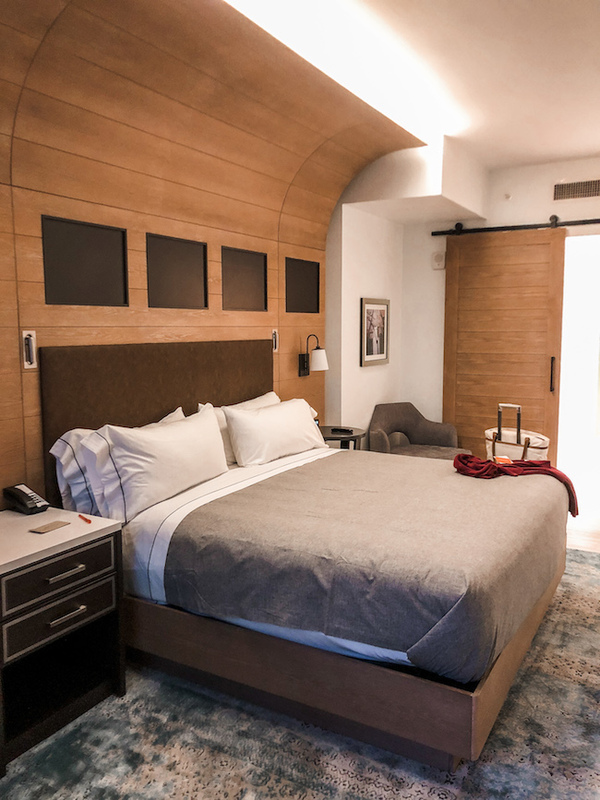 The Canopy by Hilton in Uptown Dallas was exactly what I was looking for! The place just opened a few months ago, and reading all the reviews made me want to stay there even more. It was centrally located in Uptown right next to shops, restaurants, and parks, and the hotel itself was so nice! Everyone who worked there was so sweet and talked with me about the neighborhood, and they even gave me some macarons from a local shop when I checked in (which I promptly ate when I got to my room since I hadn't eaten at all that day haha!). The room itself was SO BIG I was totally in shock. I just got the traditional king bed room and it was huge! I had my own closet, a large bathroom with a walk in shower, and the bedroom itself was enormous. Everything was also totally updated, and I have to admit I did spend a good amount of time in the room...more on that in a second. So, on my very first morning I managed to take a pretty bad tumble while walking into a Target. I literally stepped out of my uber and just absolutely ate it. Thankfully the people in Texas are super kind and a nice man helped me up, but I scraped up my elbow and knees pretty badly. Not exactly what I imagined my first day of the trip to be like. After that it made my adventures a little more limited as I was injured and walking irritated it, so I spent a good amount of time that first day in my hotel room trying to rest up for the rest of the trip! After falling, I explored the Uptown area a bit then made my way to the Arboretum. I went in knowing this place was big, but I didn't realize that the Arboretum is about 66 acres! I didn't exactly pack walking shoes, so my feet were killing me in the slides I was wearing. 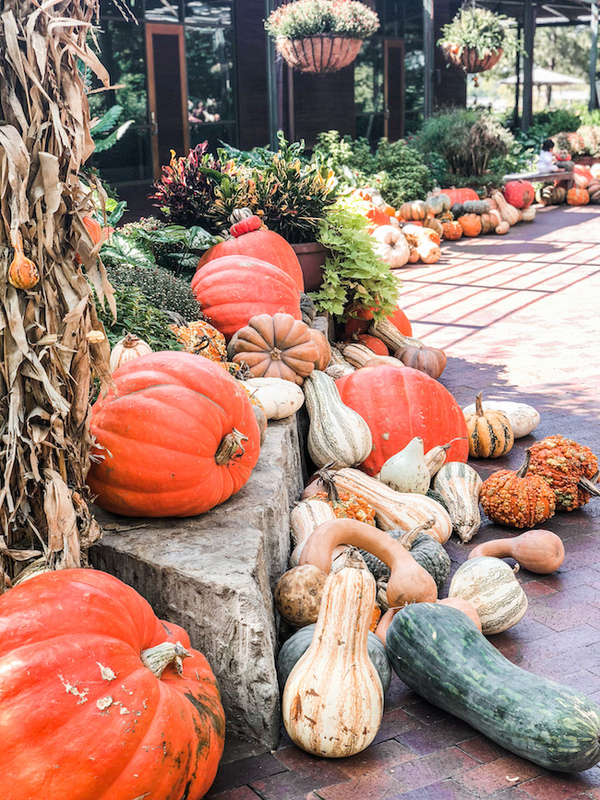 However I would have to say it was worth it for all the beautiful pumpkins and nature that I got to see while exploring here! 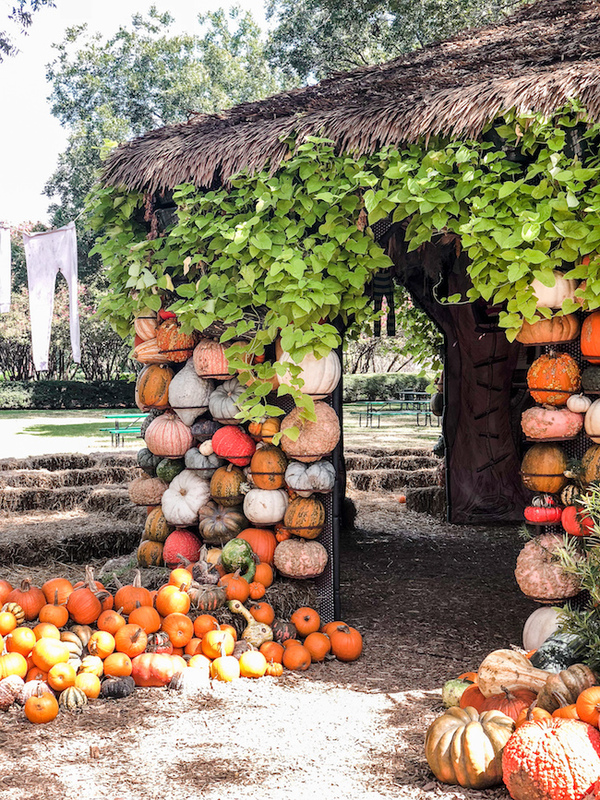 They have really outdone themselves in the fall decor, I wanted to take all the pumpkins home with me. I walked around looking at the waterfalls, the sculptures, and listened to the birds for hours before I finally made my way back to the front gate. I highly recommend making a stop here, especially if you're here for autumn! And since my feet were in need of a little TLC I bought myself a pair of slippers at the arboretum store at the end of my trip, haha. 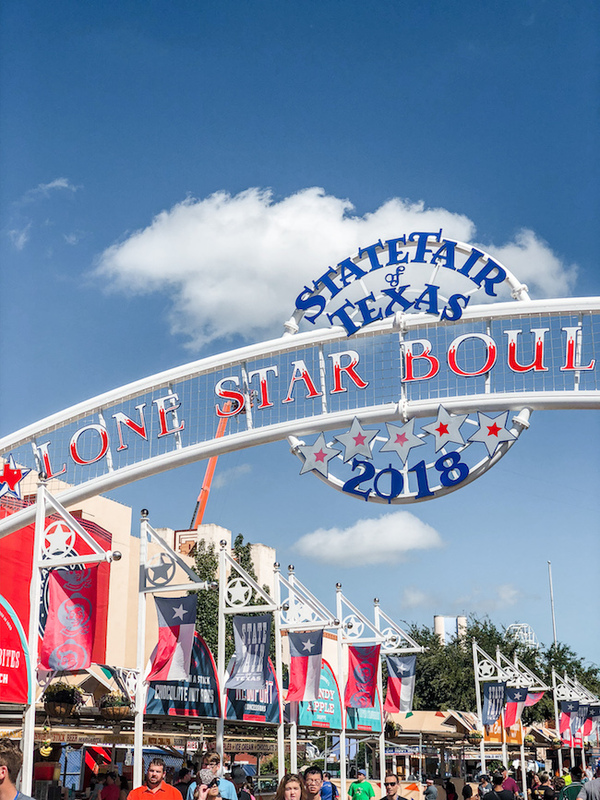 The following day I made my way to the Texas State Fair! I was so excited to hear that this was happening since I've heard rumors about how fun it is. Y'all when they say everything is bigger in Texas, they mean it! Again, I knew this fair was a big deal, but I didn't realize just how much of a big deal until I was there. Walking through the area was insane, there were huge museums, auto shows, shopping expos, and more. And that was just within the first few steps of walking into the place! There isn't all that much shade in Fair Park, so whenever it got too hot I would just dip into one of the showrooms and look around at all the stuff that was on display or for sale. After taking a look at all the expos, I finally made it to all the main attractions. 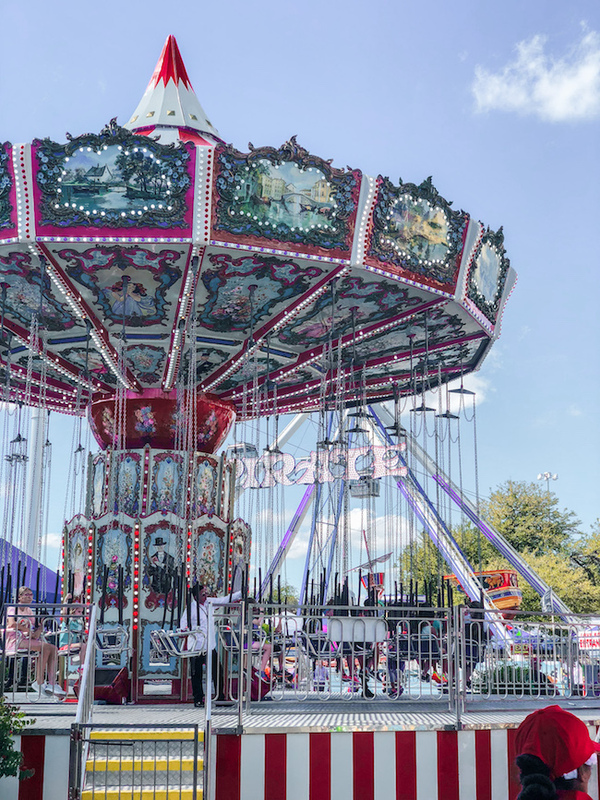 Inside the actual "fair" part of the State Fair, there are theme park rides, games, a huge pond for swan paddle boats, livestock, tons of food stalls, more expos, and MORE. Honestly the list could go on and on there is just so much to see. I bought a ton of coupons (for food and rides) as well as a game ticket for the fair games and just had the best time. This trip to Dallas was my first trip alone, so I just took my time with everything. I rode the rides I wanted to, played the games I thought were fun, and ate the fair food that looked the best. It was awesome, I basically felt like a little kid again! 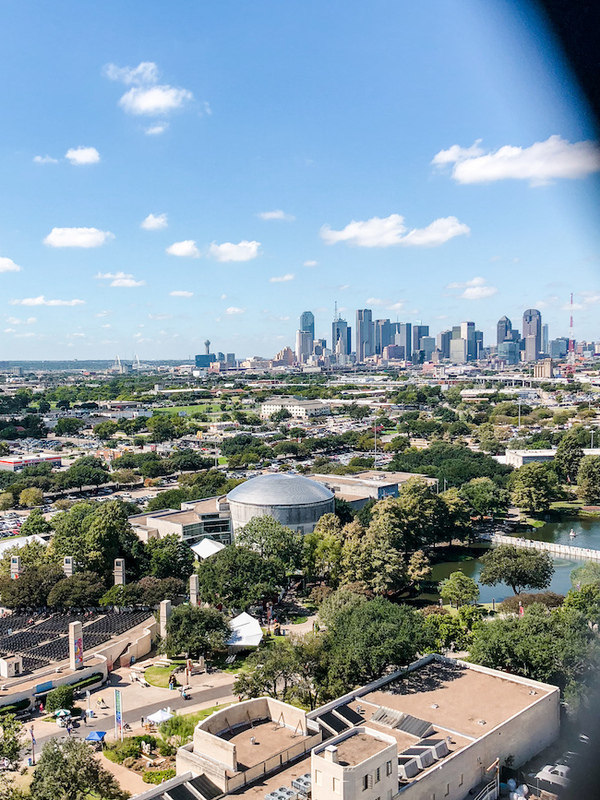 I even forced myself to go on the Texas Star, a big ferris wheel, so that I could get a birds eye view of the fair and the Dallas skyline. That's the photo right above, it was such a great view! On my last day I had a few hours to spare before my flight home, so I decided to venture into downtown a little more. 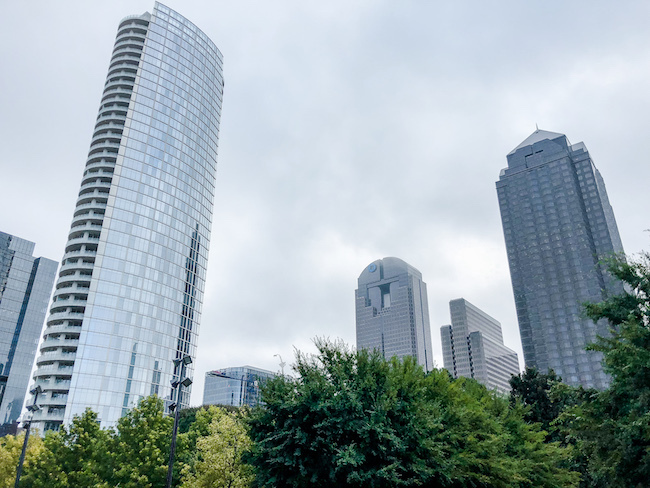 I heard about Klyde Warren Park from a number of people, so decided to check it out. This small park is located directly over a freeway! It's right in the downtown area next to a few museums, and is the perfect place to spend some time with nature in the city. I loved that you could see all the downtown buildings from within the park, and it looked like a great place to gather with friends and eat at one of the many food trucks. I was there early in the morning and there was actually a pretty large yoga class going on out on one of the main lawns, such a cool place to hang out! 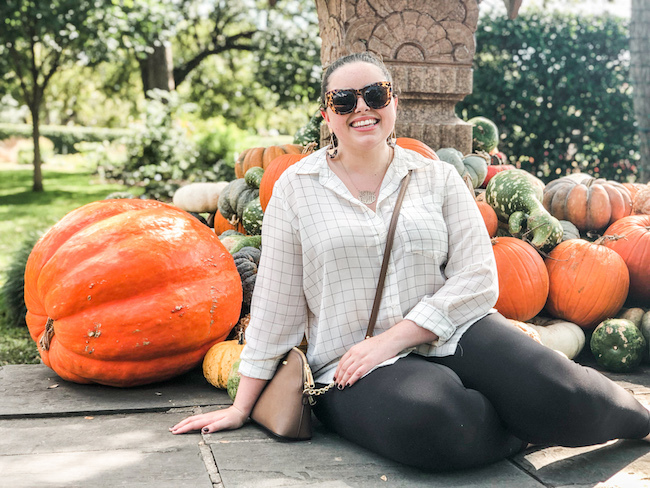 And now for a little bit of a life update and my reasoning for traveling to Dallas. Well, I'm 99% sure that I'll be moving there in March! During the times when I wasn't exploring the city I was looking at apartment buildings. I had never been to Texas, but it was my first choice in moving after college, however Seattle seemed like the best option at the time. After living here for a few months, I decided it isn't what I'm looking for in the long run. I have nothing against the city itself, but it just isn't what I was hoping it would be. So I took the trip to Dallas to see if I could see myself living there, and surprisingly enough it kind of reminded me of Orange County, just with some southern flair. After looking at a few different places, I can definitely see myself there and am excited for the next adventure it will bring me when I make the move! If you live in Dallas, I would love to hear your thoughts on the city and get some more recommendations from you! 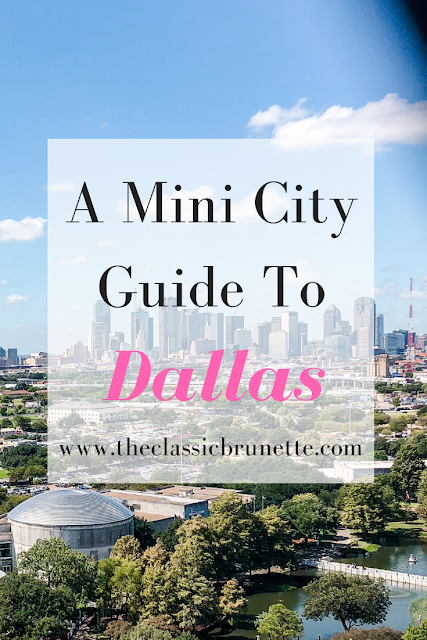 I'll also be doing a bigger Dallas post after living there for a while and getting some more experience to share. Hope you enjoyed the post! Happy fall everybody! One of my favorite things about this season is the fact that I can finally pull out my sweaters. I love a good Halloween themed one, like this $10 one I shared on my Instagram the other day, but I also love more traditional sweaters. I think they're so cozy, comfortable, and you really just can't go wrong with them. 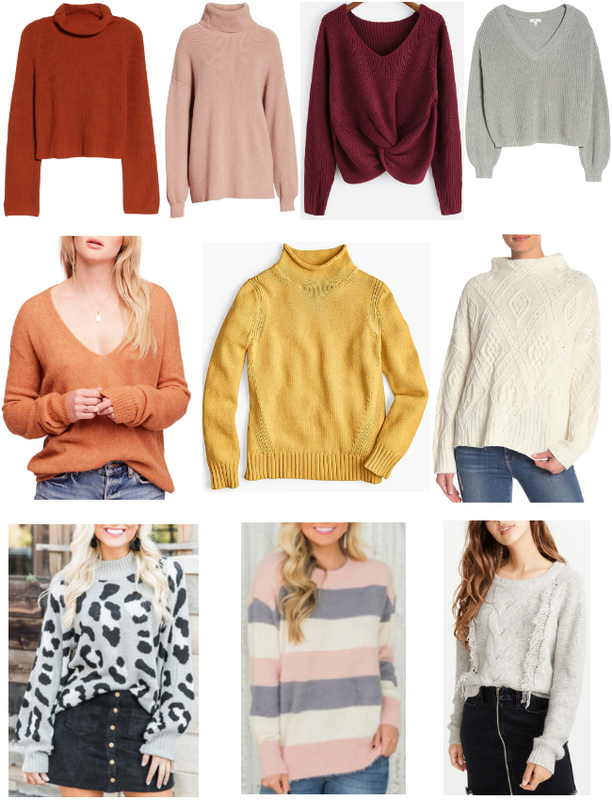 Today's post is a round up of some of my favorite sweaters I've seen lately and have been loving!